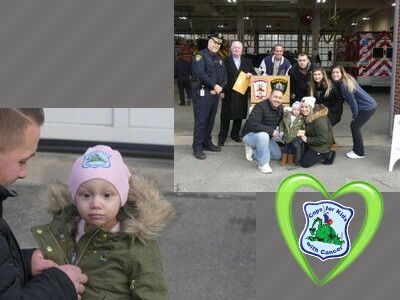 On February 1st, Eddie McNelley of CFKWC, went to the Wilmington Police Department and made a donation to Charlee Jacques (2 years old) and her parents, Erica and Kyle. On hand for the donation was Chief Michael Begoris and the men and women of the Wilmington Police Department, who rolled out the red carpet for the family. We would like to thank all of them, for going above and beyond.